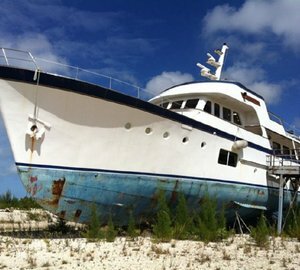 Classic luxury yacht ISTROS will be brought back to life via an extensive rebuild at the Feadship facilities. 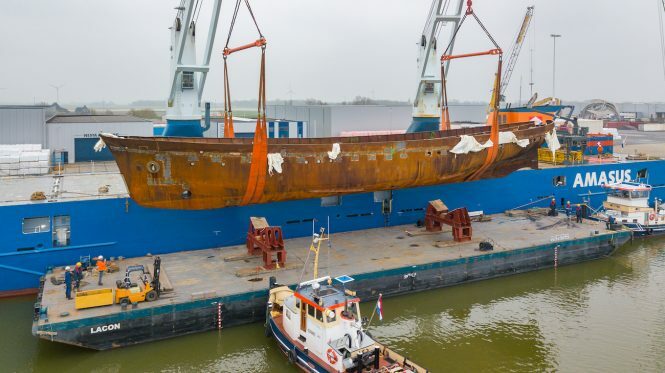 Built in 1954 by Amsterdam Shipyard Ltd. G. de Vries Lentsch Jr., the 42m/137.8ft motor yacht will receive a brand new aluminium superstructure while still retaining her original steel hull. At the time of her construction, she was one of the largest private leisure vessels ever built in the Netherlands and her name ISTROS means ‘Inspiration’. 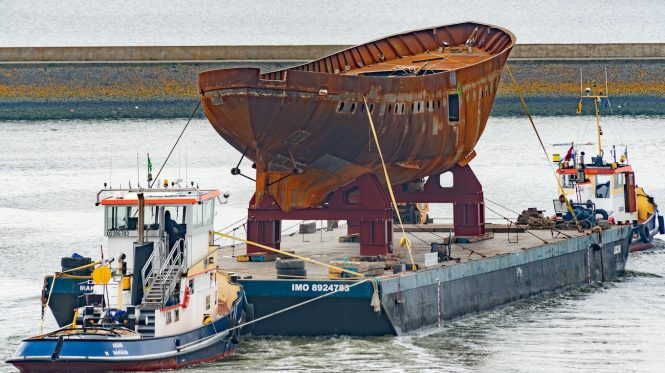 Now, she has undergone a removal of her original superstructure and the stripping and reconditioning of her hull. 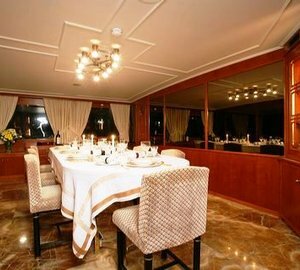 One of the most luxurious motor yachts at the time of her launch, she was originally fitted with the most advanced technology of the time, including a radar system and a white telephone that could be used to call anyone, anywhere in the world from on board. For the ‘new’ ISTROS, Feadship, in conjunction with the Owner, has chosen a child-friendly family-oriented layout that would also make her ideal for luxury charter vacations. 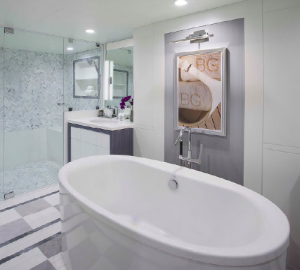 Her stately cabins will impress visitors, and her Scandinavian warmth infused with contemporary styling will make for a truly welcoming atmosphere on board. The new engine room will host a pair of C18 main engines, a C4.4 diesel generator and a Capstone DC 65 diesel Micro Turbine generator. 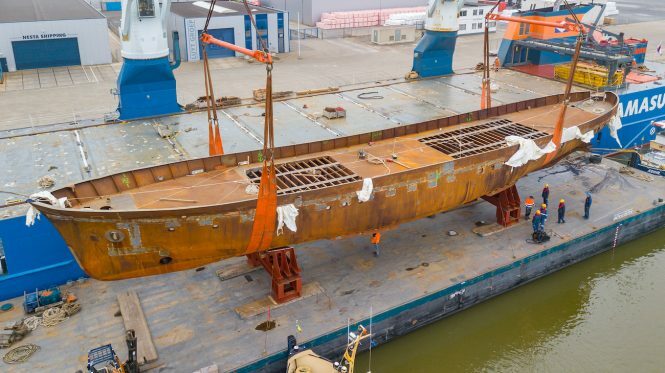 Once all work has been completed, motor yacht ISTROS will return to the water before the summer of 2020. 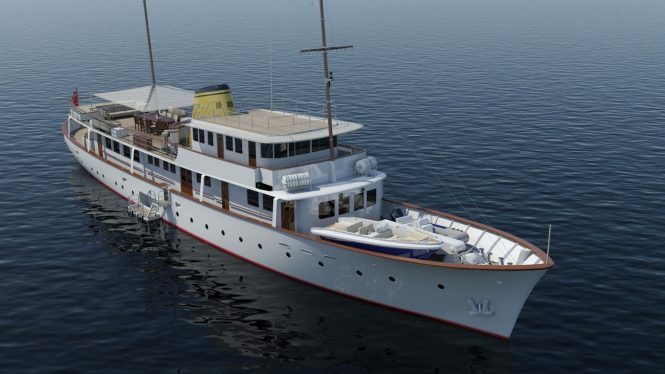 Please contact CharterWorld - the luxury yacht charter specialist - for more on superyacht news item "Classic 1950s motor yacht Istros to be refitted by Feadship".